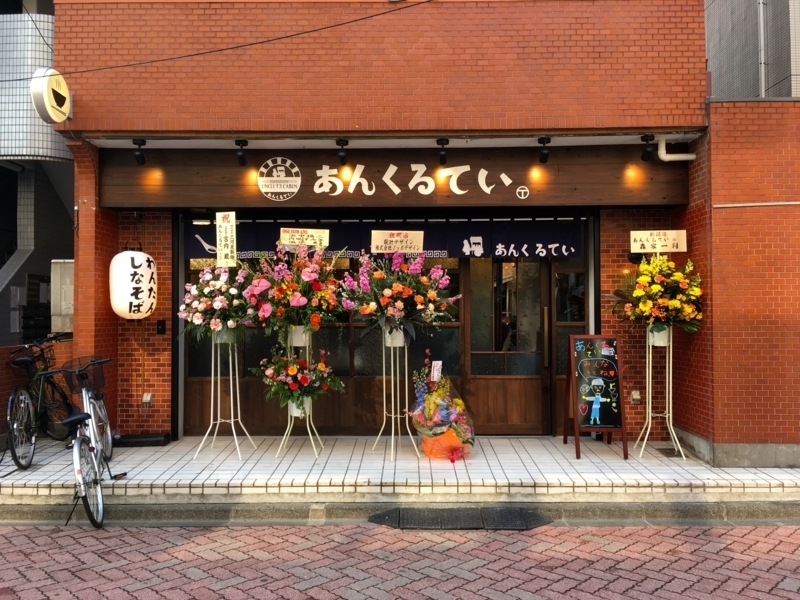 There is a popular ramen shop called "Tan-Tan-Tei" in the Hamada-ya station neighborhood of Keio Inokashira Line. 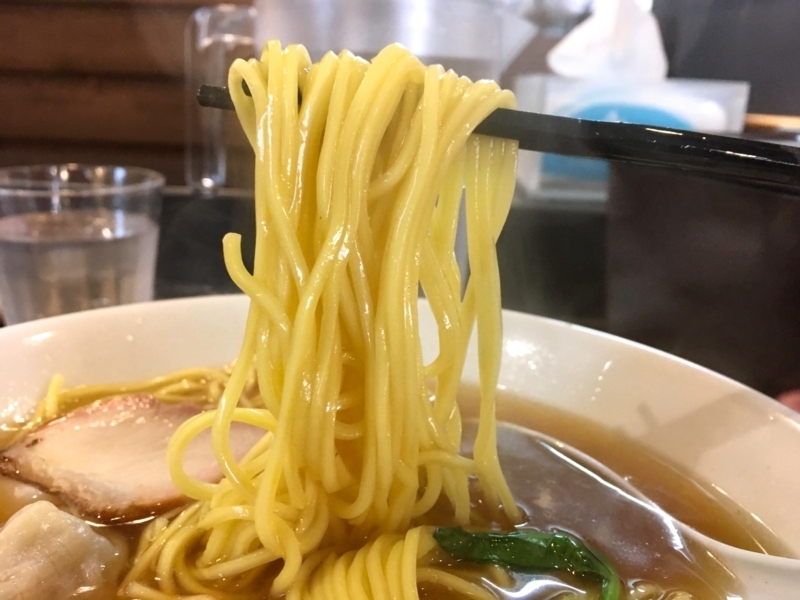 Mr. Ishihara founded the shop and brought up a number of ramen chefs. Among them, a person who seems to be a veteran, independently, started a new ramen shop this time. That is UNCLE'S CABIN. It already seems that this shop has proven to be a delicious shop. 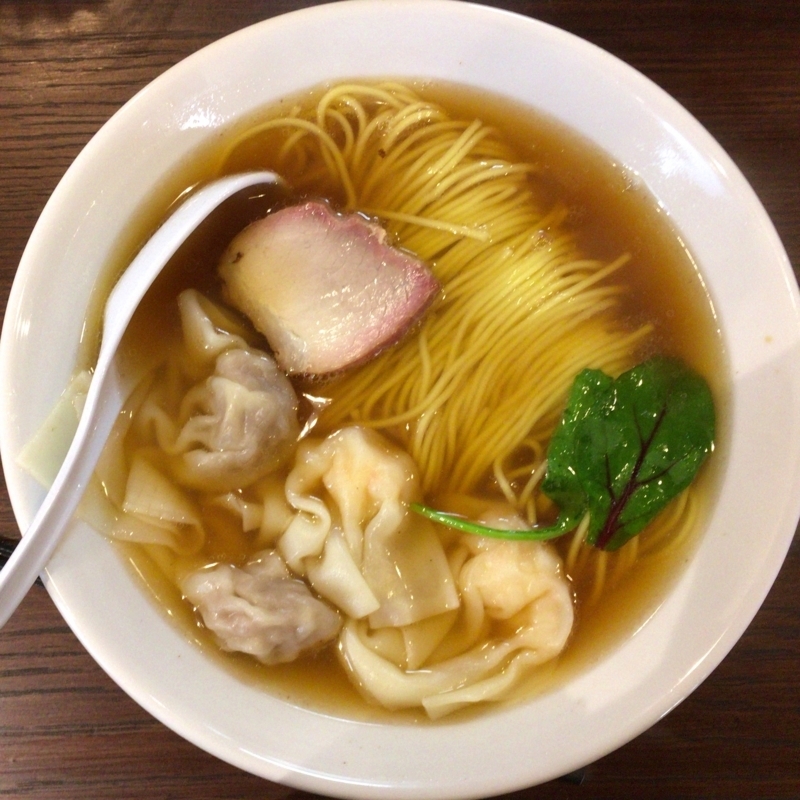 Here, I ate a ”Niko-Niko-Soba (wong tong noodle). I am fascinated by the beauty of noodles, that has aligned parallel lines, smooth skin, bright and shadeful colors. 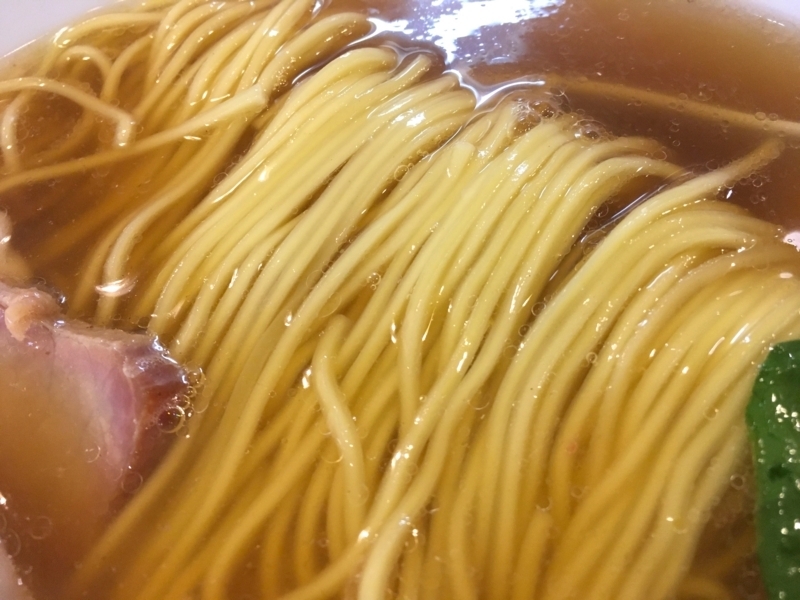 This noodle has all of them. It looks like a beautiful woman's hair. 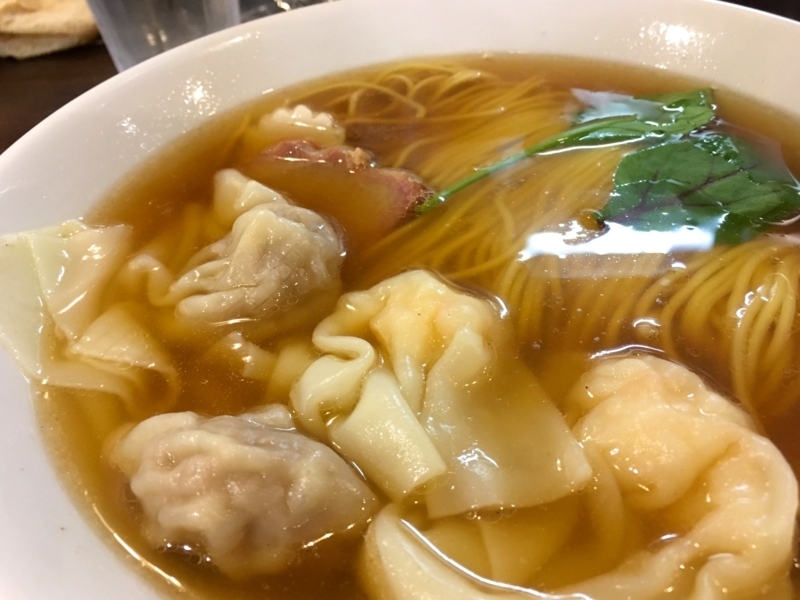 The soup slowly soaked into the noodle, and it feels as if it got a more gentle look. And wong tong is also wonderful. This ramen has two kinds of wong tongs of pork and shrimp, two each. Wong tong has a very juicy taste. Soft crisp is good. The shoulder loin of pig is boiled carefully, it is soft with a very elegant taste. It looks beautiful, but none of the old-fashioned flavors will rest your mind. 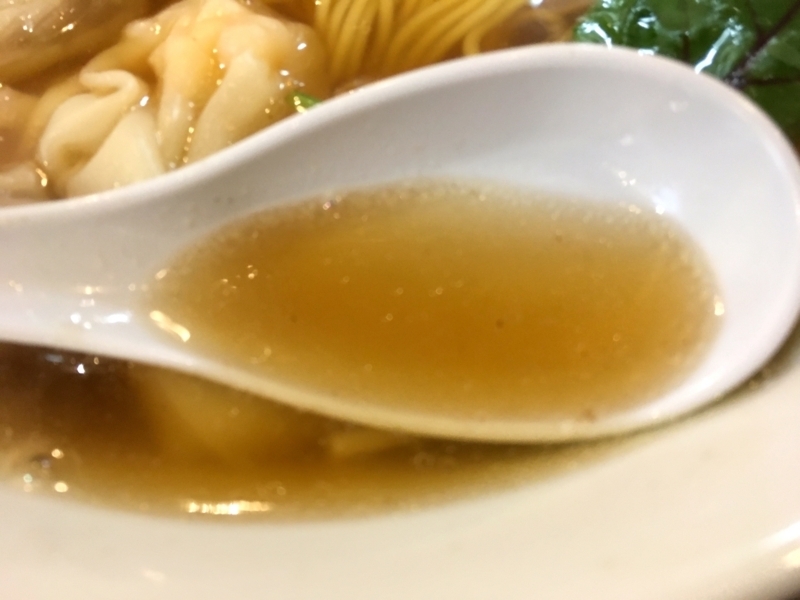 I settle down with the calm taste of soup. 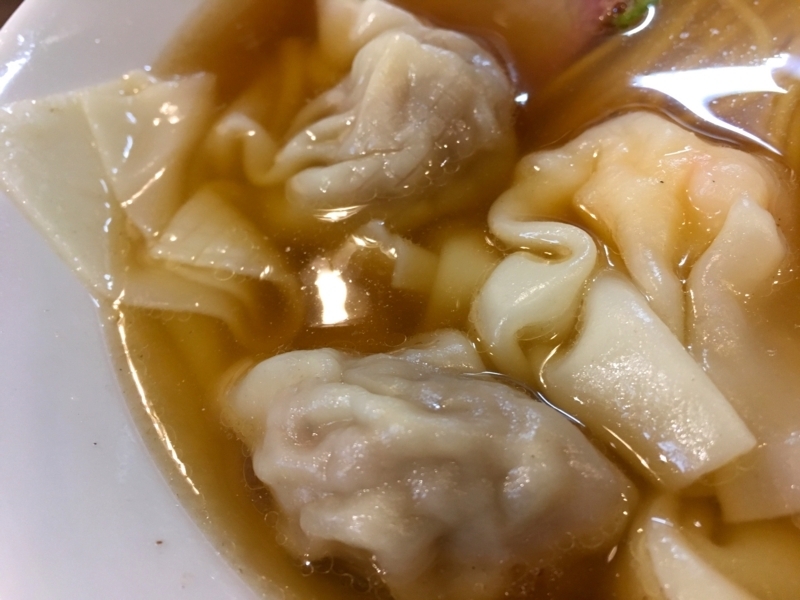 It has mildness of soy sauce and a beautiful taste of chicken and pig. This taste is never innovative, but I think it is essential and traditional. It is not influenced by trends, it tastes loved by many people forever. I would like to come back to this shop any number of times. However, this shop is a bit inconvenient from my home.